A Spanish composer born July 7, 1951 in Linares (Spain) who died January 1st, 1997. A pupil of Juan Alfonso Garcia, Francisco Guerrero Marin has devoted himself to the organ and composition. He has shown a particular interest in electroacoustic music, founding an electronic music laboratory at Grenada Radio (1969) and setting up the department of electronic music at the University of Las Palmas (1985). A French composer born April 23, 1900 in Bordeaux, died December 28, 1997. Henri Barraud began his music studies with Fernand Vaubourgoin in Bordeaux. He continued with lessons in orchestration with Louis Aubert, at the Paris Conservatory, then in composition with Paul Dukas at the École Normale de Musique. A French composer born December 12, 1924 in Marseilles, who died July 29, 2005. 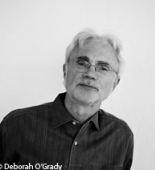 An American composer and conductor born January 1st, 1947. Born into a musical family, John Adams studied the clarinet and played in wind bands before continuing his training as a conductor and in composition at Harvard University (1965-1971), notably with Leon Kirchner. He subsequently devoted himself to teaching and conducting at the San Francisco Conservatory, as well as to composition, writing for all formations: chamber, orchestral, vocal and electroacoustic. A Canadian composer, pianist, ondist and teacher born September 6, 1932 in Arvida (Canada), who died July 27, 2017 in Montréal. 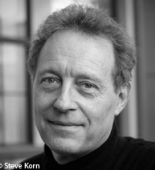 A pianist, Gilles Tremblay entered the Montreal Conservatory where he studied composition with Claude Champagne. He continued his apprenticeship at the École Normale de Musique and the Paris Conservatory, notably with Olivier Messiaen. He studied the piano, the ondes Martenot, attended the summer classes of Darmstadt, where he met Karlheinz Stockhausen, Pierre Boulez and Henri Pousseur, and initiated himself into electroacoustic techniques in a course with Pierre Schaeffer at the ORTF. In the course of a study journey in the Far East he absorbed the melodies of Java, Bali and the percussion of China and India. A Spanish composer born January 28, 1930 in Bilbao (Spain). A French composer born September 17, 1954 in Orléans. Joël-François Durand studied musicology at the University of Paris VIII and piano at the École Normale de Musique in Paris. He studied composition with Brian Ferneyhough at the Musikhochschule in Freiburg, as well as with György Ligeti and Luciano Berio at the Centre Acanthes. He continued his studies in the USA at the University of New York Stony Brook, where he was the pupil of Bülent Arel (composition) and Daria Semegen (electronic music), and he obtained a doctorate in composition in 1988. 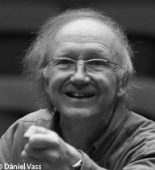 A Swiss composer, oboist and conductor born May 21, 1939 in Langenthal. A student at the Bern Conservatory, Heinz Holliger was a pupil of Emile Cassagnaud (oboe) and Sandor Veress (composition). Gaining a degree in 1958, he led an international career as an oboist and in parallel followed composition classes with Pierre Boulez in Basel (1961-1963). A virtuoso instrumentalist, he has developed new ways of playing and has been the inspiration for many new works (notably by Elliott Carter, Karlheinz Stockhausen, etc.). A Japanese composer born January 1st, 1955 in Hiroshima. 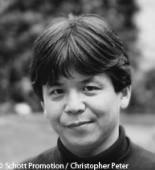 Toshio Hosokawa studied the piano, harmony and counterpoint in Japan before becoming a pupil of Isang Yun at the Hochschule der Künste in Berlin (1976). He completed his training at the Hochschule für Musik in Fribourg in Brisgau (1983-1986) with Klaus Huber and Brian Ferneyhough. The founder, in 1989, of a contemporary music festival in Akiyoshidai (Japan), he was then appointed composer in residence with the Tokyo Symphony Orchestra and then director of the International Music Festival in Takefu and was invited to all the leading festivals of contemporary music in Europe. 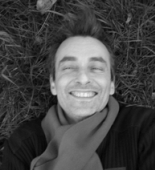 A French composer born January 1st, 1956 in Tournan-en-Brie. A guitarist by training, Philippe Mion studied at the Paris Conservatory, in the classes of Pierre Schaeffer and Guy Reibel, as well as at the Paris-Sorbonne University (1974-1978). 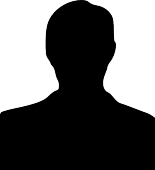 The discovery of electroacoustic music was a revelation; he collaborated in the activities of the GRM, became a producer for Radio France (1979-1982) and appeared as a performer of acousmatic works.